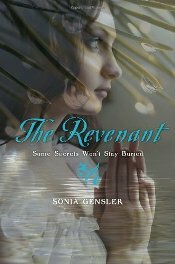 You'll find Sonia Gensler's The Revenant shelved in the Teen Paranormal Romance section at your local bookstore. However, it has far more in common with creepy supernatural mysteries like Patricia Clapp's Jane-Emily and Sarah Waters' The Little Stranger than it does with Twilight and its ilk. The year is 1896, and 17-year old Willemina Hammond is desperate. To escape a home situation she detests, she boards a train from Tennessee to Indian Territory and steals the identity of one of her former classmates. But Willie's assumed role as an English teacher at the Cherokee Female Seminary in Tahlequah, Oklahoma is nothing like she expects. Willie struggles to gain authority over her cliquish pupils, who are the same age as she is, and whose upper-class background gives them a sophistication she herself doesn't have. Then Willie learns that her bedroom used to belong to a former student who drowned in the river last year. What's causing the tapping on her window after dark — is it poor Ella's ghost, and if so, what does Ella want to tell her? What ever happened to the boy rumored to be Ella's lover? And can a romance between Willie and Eli Sevenstar, a handsome older student at the male seminary across town, ever work out? 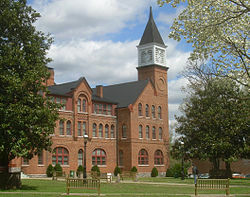 The Cherokee Female Seminary was a real place, an institution of higher learning for wealthy Cherokee girls and lower-class scholarship students. Its building — a three-story, turreted structure that resembles a castle — is now part of the Northeastern State University campus. I loved walking through the rooms of the seminary along with Willie, noting the fully stocked library and gleaming wood tables and chairs. Willie's awkward experiences in front of a classroom ring true, the depiction of late 19th-century Cherokee life is seen from an intriguing new perspective, and the ghost story is eerie and unpredictable. The Revenant is an engrossing read which should appeal equally well to adults and YAs. I hope you'll enjoy the following interview! I wasn't familiar with the term "revenant" before picking up your book. What's the difference between a revenant and a regular ghost, if there is such a thing? I don’t think there really is a difference. Revenant, with its French origins, seemed a more old-fashioned and romantic word to me than ghost, and over the course of the story I was able to give a double meaning to its definition of “one who returns.” I think the term can include creatures such as vampires or zombies, but obviously I didn’t go in that direction for this story! How do you get into the right mood for writing scary scenes, like the ones in which Willie hears mysterious tapping at her window very late at night? No one has asked this question before! Actually, it’s sort of the same as when I write romantic scenes. I rarely try to “set the mood” – I don’t have to be scared in order to write a scary scene. At times I try to remember moments when I was scared, but I have to be thinking pretty calmly and objectively in order to write about those moments. When the scene is stubbornly refusing to flow, I might review scary scenes from favorite ghostly novels for inspiration. Now that I see how mundane my answer is, I’m tempted to light candles and play spooky music next time I have to write a scary scene, just to see how that affects the process! I found your depiction of the Cherokee students and their families fascinating and enlightening, because it's a chapter of their history - and a segment of the population - you don't often read about. What sort of research did you do to ensure that the Cherokee characters were portrayed correctly? For my research I visited the Oklahoma Historical Society and the Northeastern State University Archives. I also had the benefit of reading Devon Mihesuah’s Cultivating the Rosebuds: The Education of Women at the Cherokee Female Seminary, 1851-1909 as well a collection of oral histories entitled Cherokee Female Seminary Years, edited by Maggie Culver Fry. These books, along with the photographs, school catalogs, architectural plans, etc. obtained through the archives, gave me a pretty clear background on the history of the town, seminaries, and people. Once I had a draft, I arranged for an introduction to Dr. Richard Allen, former English teacher and current policy analyst for the Cherokee Nation. He kindly agreed to read the manuscript for me and offered valuable insights on historical context and characterization. What sorts of things did you discover while doing on-site exploration of the old seminary building that you wouldn't have known about otherwise? I think it was during a tour that I learned what parts of the building were off-limits to male seminary students. When invited to the school, boys were allowed access to the first floor, but could only step as far as the first landing on the staircase to the second floor. They were NOT to go to near the girls’ bedrooms. This wasn’t surprising information by any means, but it did get me thinking about certain plot points . . . I know it may not be fair to ask a teacher to choose a favorite student, but were there any of the girls (or boys) whose backstory or character you enjoyed developing the most? Fannie and Larkin Bell weren’t necessarily my favorite characters, but I did enjoy fleshing them out as the “mean girl” and her rakish older brother. It was especially fun to imagine their home for the Christmas party scenes – the house was loosely based on Rose Cottage in Park Hill, the home of Chief John Ross. Fannie is a royal pain, but I tried to show her strengths as well as flaws. I like to imagine that her frightening experiences at the seminary tempered her vanity and snobbery. Willie's enthusiasm for Shakespeare's plays comes through clearly to her students at the Cherokee Female Seminary. Back when you were a teacher, did you have any favorite Shakespeare plays to read and act out with your classes? I required my English II students to act out the assassination scene from Julius Caesar every year. They usually had a great time with that. It was a complicated and often maddening effort to throw costumes and props together and, after much rehearsing, film the scene. The experience certainly made for a great discussion when the students compared their version to the same scene in the 1970 film adaptation of the play, which portrays the assassination very . . . vividly. Were there any fascinating tidbits you picked up during the writing process that you wanted to use in The Revenant but were unable to? During the research process I went on one of the Haunted Seminary Hall tours, which are offered every October by Northeastern State University graduate students. At one point the guide took us to the second floor and, after pushing aside a tile from the drop ceiling, showed us what certainly looked like footprints on the original plaster ceiling. It was quite eerie, and no one had an explanation for it. I wish I could have worked that into the story somehow, but the proper way to include it never came to me. Although Willie's only seventeen, the role she assumes puts her in an unusual position - she's expected to associate with other adults rather than students of her own age. For this and other reasons, I could easily see your book appealing to both YAs and adults. Did you deliberately set out to write a novel for the YA market, or didn't you have an age group in mind? I did set out to write The Revenant as a YA book, but with the knowledge that YA has considerable crossover appeal to the adult market these days. The teen years are inherently full of drama and conflict, and I feel that most adults still have vivid memories of that time in their lives. I also liked the idea of my protagonist putting on a performance, and in this case, she was pretending to be an adult – a common fantasy for teens. The Revenant was published in June by Knopf in hardback ($16.99/$18.99 Canadian, 322pp). Visit Sonia's website at www.soniagensler.com for biographical information plus more historical background on the novel. This is an excellent review and interview, Sarah. You asked some really great questions, and I love Sonia's responses. Thank you both for the detailed look both into the book and behind the scenes of writing it. I don't typically read YA, so it's not likely that I would have found The Revenant on my own. But I've always been interested in Native American culture and boarding school history. And who doesn't love a spooky ghost story? This book is now most definitely on my "to read" list. Thanks again! Thanks again, Jessica, I really appreciate your kind comments! I've been trying to read more young adult historicals, and this one didn't read YA to me as much as others have. I've been puzzling out why this is. It may be because 17-year-old heroines aren't unusual in adult HF, and also because Willie's best friend in the book is another teacher. In other YAs I've enjoyed, I've felt that a younger version of me would have identified with the main character, but here, I found myself identifying with her. While reading, I temporarily forgot I wasn't seventeen anymore. It's late and I'm not sure this is making sense! Please let me know what you think if/when you read it! Love seeing your promote the YA stuff :) Interesting topic. I'll check it out! Thanks for this post, Sarah! Like Jessica I'm not sure I would have found this on my own--ghosty YA isn't usually my thing, but this is on my read soon list! Thanks! I figured this one might catch your attention, Divia :) I think you'd like it. Hope you'll like it also, Rowenna. I love a good ghost story though don't normally haunt (sorry) the teen paranormal romance section either. I loved The Revenant, and Sonia Gensler is so charming. 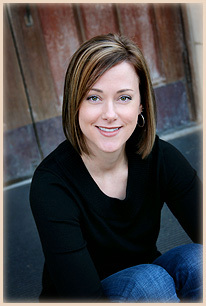 (I interviewed her for my blog as well.) I read a lot of YA historical fiction, and this one stands out! I'm glad to have discovered your blog, Melissa. 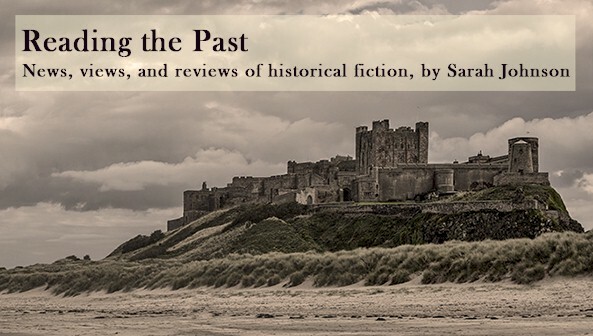 I enjoyed your interview -- and good to know she's writing another gothic historical. I'll be reading it. Great interview! You asked questions that dig deep into the story, questions that most readers would not have thought of. Also Gensler's responses are priceless and realistic. Great interview! I did not know the meaning of revenant before reading this interview but now I'm glad I do. The questions asked were interesting and made me want to read the story!